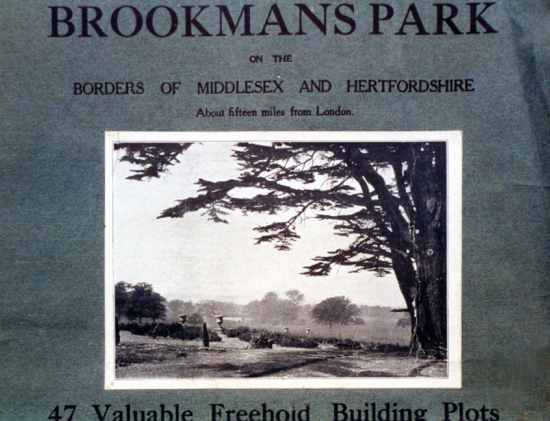 The following is the original text from a small booklet, published in 1926, designed to attract people to Brookmans Park. It sets out plans for the village, the schools, shops and other amenities. Between Potters Bar and Hatfield. 15 miles from King's Cross. 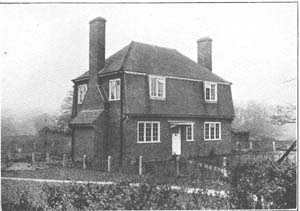 A new station, Brookmans Park, has been built by the Great Northern Railway Company in the centre of the estate. There is a direct service to King's Cross and Broad Street. The distance is only 15 miles, so that as far as travel facilities go, residents will be in a better position than those living closer in where service is by tube, train or bus. The time of the fast train run to King's Cross is approximately 30 minutes. Freehold building plots and houses for sale. Designs and payments to suit purchaser's requirements. 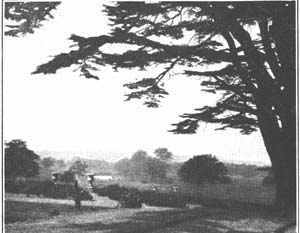 The growth of greater London has been so rapid during recent years that it is becoming well-nigh impossible to find a residential locality which has the charm of the countryside and yet is near enough to London to enable the City worker to do the journey from home to office in under the hour. It is frankly either a question of living within the inhabited belt or of paying too high a price for rural surroundings - the price being a tedious journey by rail which leaves one too tired and jaded to reap the benefit of a house in the country. And yet, under the strenuous conditions of modern city life, country surroundings are becoming not so much a luxury as a necessity. To those who are faced with this difficult problem, and particularly those with growing families to whom it is of real urgency, the Brookmans Park Estate will open up a new vista, it is really a unique opportunity; it makes it possible to live in one of those few remaining bits of unspoilt England close enough to London to enable the journey to the City to be done in about half an hour - from door to door in well under the hour. The Brookmans Park Estate combines many advantages. It is easy of access. It is on the borders of Middlesex and Hertfordshire and still retains, in its setting, all the beauty of the country-side at its best. The Brookmans Park Estate is situated on the Great North Road, fifteen miles from London. 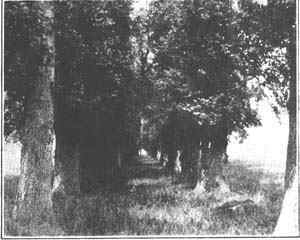 Coming towards London, Potter's Bar is two miles distant; Hatfield lies three miles away, in the other direction. Hatfield is the ancestral home of the Marquess of Salisbury, and it would be hard to find a spot, which embraces more completely, that indefinable charm of rural England than does the country between Hatfield and Brookmans Park. Gently undulating, well wooded and well watered, the march of civilisation has left it untouched in its natural beauty. The estate itself has been laid out for building so that its charm will remain unspoilt. 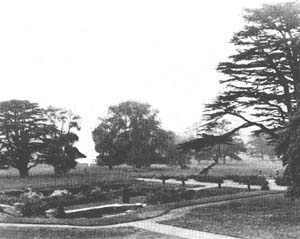 As will be seen from the plan of the estate, definite spaces have been set aside for use as parks and pleasure grounds. The majority of the magnificent trees which timber Brookmans Park are to be preserved and will not be destroyed haphazard. 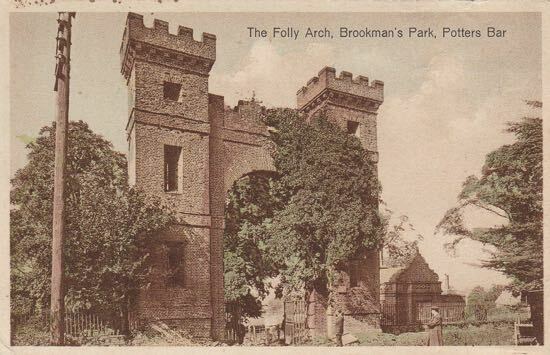 They will be thinned under the supervision of a forestry expert, so that walks and glades, fringed with noble elms and oaks, will remain to keep the distinctive character of Brookmans Park as it is to-day. It is estimated that there will be sites for over 2,000 private houses and the district will have its own churches, schools and shopping centres. Building plots, varying in size, position and aspect to suit all requirements, are available, and every possible assistance will be given to builders and purchasers. Plots will have frontages from 40 ft. upwards and will be disposed of either leasehold or freehold. Any type of residence, to approved plan, may be erected. Particular care will be taken that all houses will reach a certain well defined standard and conform to type so that surrounding property is not depreciated or the amenities of this ideal residential estate in any way curtailed. Above all there will be no overcrowding. There are nearly a thousand acres available, which gives ample room for generous gardens and open spaces which mean so much to the health of both parents and children. In the matter of design of houses, it will be a settled point of policy in developing the estate to aid and not hinder the purchasers. There will be no vexatious restrictions of any sort. The estate is a natural beauty spot and the natural beauty will be as far as possible retained. So long as pleasing and artistic appearance is aimed at, in keeping with this broad idea of making a township beautifully planned and built in the midst of natural beauty itself, individual taste will not be restricted but allowed full expression. Expensive boundary walls and fences will be unnecessary and indeed out of harmony. Rustic posts and chains, comparatively inexpensive in first cost, will be more in keeping with these surroundings. The estate, which is on high ground, is dry, and the contour of the land ensures natural drainage. The locality itself is very healthy. It is open and breezy, but it is in no wise cold or bleak. The subsoil is to a great extent gravel, and this is a natural safeguard against dampness. In the development scheme provision has been made for the extension of financial aid to builders who undertake the erection of residences for clients desiring to purchase on a part-cash basis, leaving a quota of the price on mortgage. These facilities are very favourable and will prove a real asset in putting the whole project on a stable basis from the outset. Building material in plenty is obtainable locally. The Great Northern Railway adjoins the property, with a station on the estate itself. In the general scheme provision has been made for the erection of schools on the estate itself. In addition, a number of really excellent establishments are to be found in the immediate neighbourhood and the educational requirements of both boys and girls are well provided for. Parents will find that they are relieved from any anxiety on this head. For the most part school equipment in the vicinity is modern, and there are also certain old foundations which offer an education of the public school type at very reasonable fees. Kindergarten schools for the very young are to be found within easy distance. Queenswood School for Girls adjoins the estate, and at Barnet there is a very old foundation, for both boys and girls, in the Queen Elizabeth Grammar School. At St. Albans there is an equally old school for boys and a well run High School for girls. Preparatory Schools are provided in Dagmar House at Hatfield and Hardewick at Harpenden. On the estate it is proposed to set aside land for an 18 hole golf course. This will, it is suggested, be planned and laid out by a well known golf architect. Mr. H. S. Colt has surveyed and reported on the golfing possibilities. The course will exceed 6,000 yards in length, and the soil and the turf lend themselves admirably to golf. With the natural hazards a really sporting course is assured. Provision has been made for an adequate number of tennis courts and in addition there will be recreation grounds and a cricket field. The Gobions Garden with its natural lake is a perfect gem of nature, and this will be preserved. At the south end of the estate is the Gobions Wood, well watered and with magnificent trees. 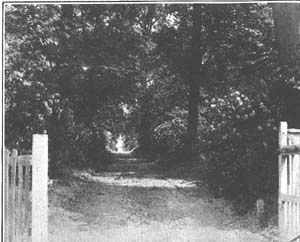 Through the wood are a number of leafy glades and foliage sheltered paths, which reveal glimpses of the countryside. 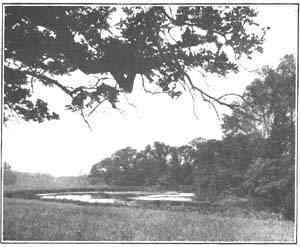 For a very long time the lake on the estate has been used for bathing in summer and very little work is needed to make it an ideal open-air swimming pool. The Southgate Angling Society rent the waters on the estate, and will welcome new members. Thoroughly good coarse fishing is obtainable and the annual subscription is not heavy. Telephones, both public and private, will be available and the township will he provided with its own post office. Electricity, gas and water will be provided at economic rates, and installations will be on the most modern lines. A comprehensive scheme of main drainage has been planned and will he carried into effect as one of the first stages of development. The point may be explained that the public services - electricity, gas, main drainage, telephones, etc: - are not to be left until the town has been built ; they are already provided for. In accordance with the general plan of making Brookmans Park a self-contained township, provision has been made for a shopping centre commensurate with the needs of the estate. This has been carefully laid out and is conveniently situated. Shops will be erected very early in the building programme and a ready response on the part of the trading community is assured. To shop in London will be a luxury, and not a necessity, although all the big London Stores deliver within the area. There will he cheap shopping tickets at least once a week, to "Town." In this connection it may be noticed that very adequate shopping facilities are afforded by Potter's Bar, Barnet, and Hatfield, all of which are within a very short distance. 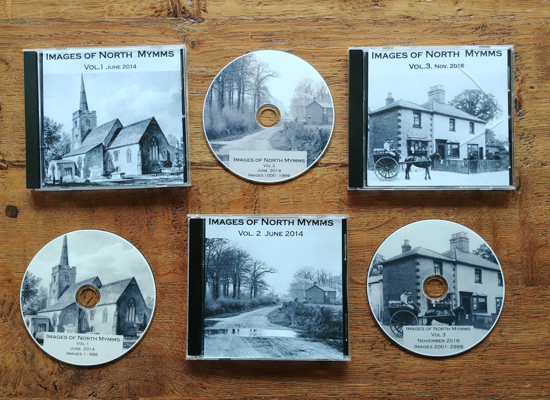 Online editor's note: The map below is a combination of four maps taken from our old Brookmans Park Newsletter history section and stitched together. Sorry for the quality. London Offices 10 Bloomsbury Square, W.C.
Plans of houses suitable for the Estate are available and can be inspected at the Estate Office.